Sometime before 12 BC an architect designed the Pantheon in Rome and stone masons built it. In 1220 AD another architect designed Salisbury Cathedral and, once again stone masons built it. A few years ago, a little chapel in the Yorkshire Dales was re-built by stone masons using the same basic techniques. 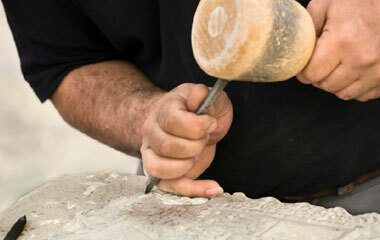 To be a stone mason is to possess a craft, a practical wisdom, with a long history. Hopefully also with a future, despite the monstrosities of re-enforced concrete and the tendency to use mechanically constructed concrete blocks in almost everything today. So it is with the task of the thology teacher. Chrysostom, Bonaventure and Calvin were good at it. It is a complicated craft and takes years to learn well – not something anyone can do once they have learnt the content of their discipline. Stone masons talk about their relationship with the tradition, their relationship with the stone, and their relationship with the resultant building into which it will fit; about forming the stone with love and care. Good theological educators talk in similar ways about forming living stones for the Church. Among all the new architectural fashions of today’s theological education, and there are many which are useful, some which are beautiful and a few which will endure, the slow, practical wisdom of the shaper of stones needs to remain pre-eminent. And sometimes this craft crosses boundaries and becomes high art. Nouwen tells of a boy watching a sculptor at work and eventually exclaiming “I never knew there was such a beautiful person inside that block of stone!” When you hear that cry in our colleges and seminaries, you know that the practical wisdom, even art, of the teacher is still alive. Live for that to be said of your students, but be humble. You may be no more than the blunt chisel in supernatural hands. This entry was posted on January 30, 2012 at 10:41 am and is filed under Uncategorized. You can subscribe via RSS 2.0 feed to this post's comments. You can comment below, or link to this permanent URL from your own site. It is great to know that if we are willing to be a chisel in God’s hand that the end result would be students that are formed as God intended opposed to how we think they should be.